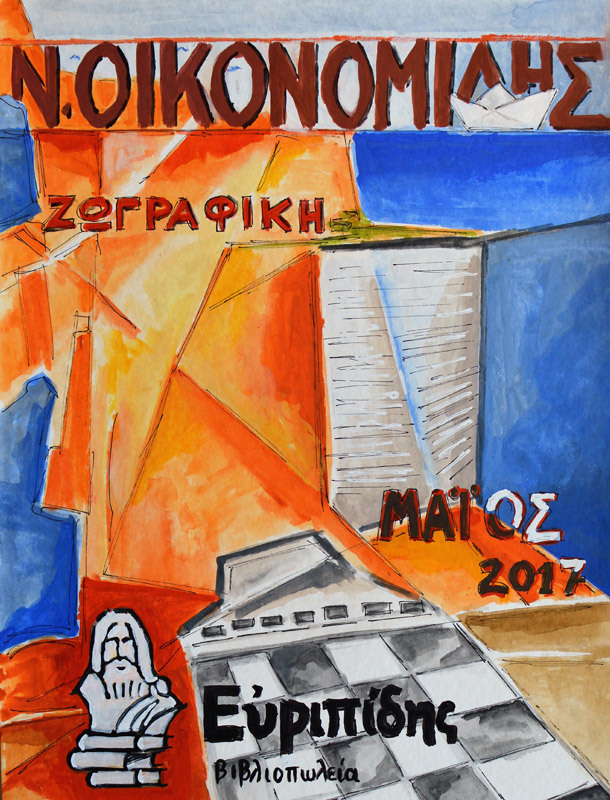 The Euripides Bookstores presents Nikos Oikonomidis painting exhibition! The exhibition comprise 12 paintings in oil and gouache colors and in middle dimensions. Paintings from the book “VERSES on the EASEL, paintings inspire from poems of contemporary Greek poets. Works from the series “BLUE SILENCE” and one picture from the series “HALANDRI SQUERE”!